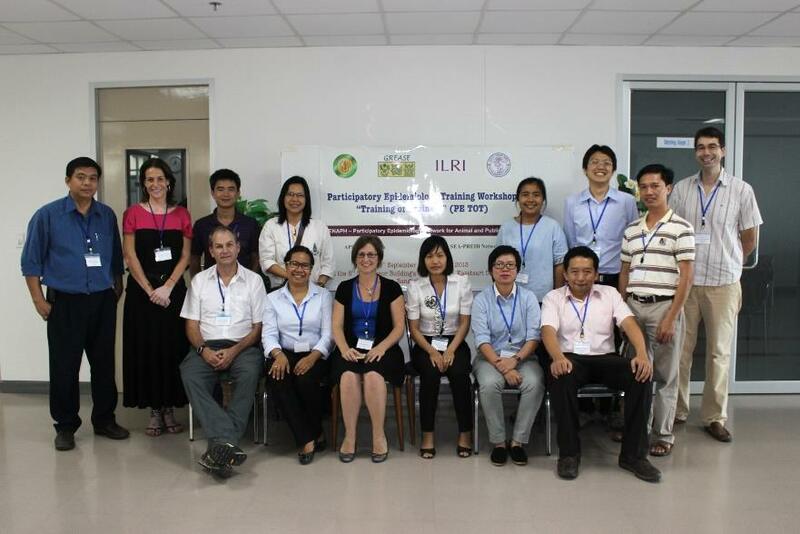 The South East Asian Participatory Research for Emerging and Infectious Disease Network hosted a Training of Trainers Course at Kasetsart University in Bangkok, Thailand from Sept 30 to Oct 4, 2013. Participants from 13 participants from Thailand, Cambodia, Vietnam, France and Belgium completed the course. PENAPH contributed to the facilitation of the meeting and sponsored 7 participants with funding provided by the International Livestock Research Institute. 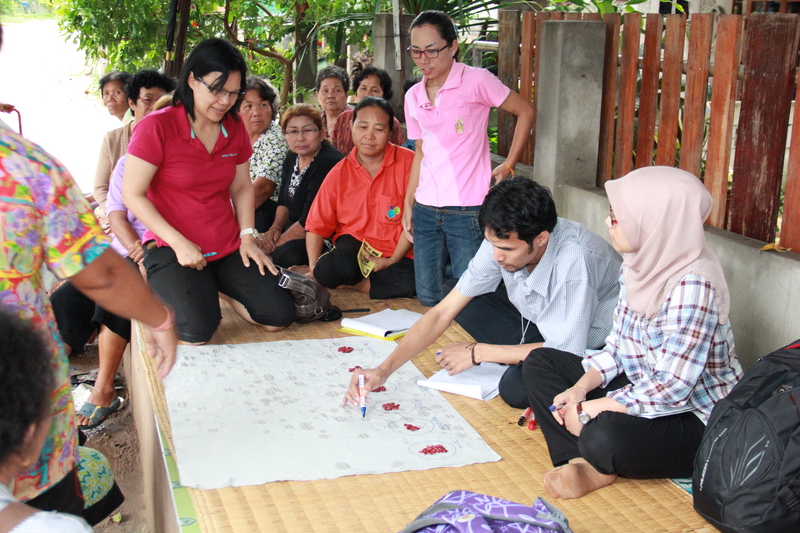 Participants planned and developed two training course plans for projects getting underway in Thailand and Vietnam. Innovations in the agenda will get new trainees out to the field faster and increase the emphasis on role playing as a tool in PE practice.